As the 2018 spring semester came to a close and students were busy making summer plans to visit beach towns and cookouts, one group of students at The College of Saint Rose was busy preparing for a service trip to Guatemala. Some of the students never before visited Central America, while others were returning to a place they grew to love, for a cause that’s close to their hearts. Like Kerrigan Mahoney ’20, a Music Education major, who signed up for the second year in a row to visit a country that doesn’t feel so foreign to her anymore. 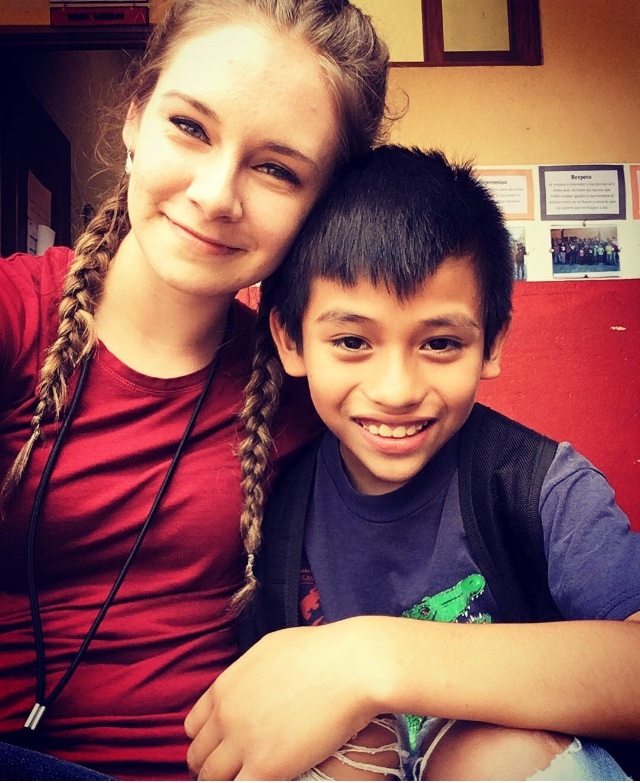 Mahoney is one of a dozen students who started their summer break by traveling two weeks to Guatemala and assisting at a school in Jocotenango, just north of Antigua. The College partners with a British foundation, Education for the Children (EFTC), which provides education, nutrition, clean water, health care, and assistance with family housing. Saint Rose students act as teaching assistants and technology aides, helping students learn English or keeping them focused on their assignments throughout the day. Outside of the classroom, students build stoves for those in rural areas and visit with Guatemalans who are in an AIDS hospice. Trip organizer Sister Sean C. Peters, who was joined this year by John Dion, assistant professor of Marketing, said they asked students a “reflection question” each night to help them evaluate what they’ve learned from their experiences. 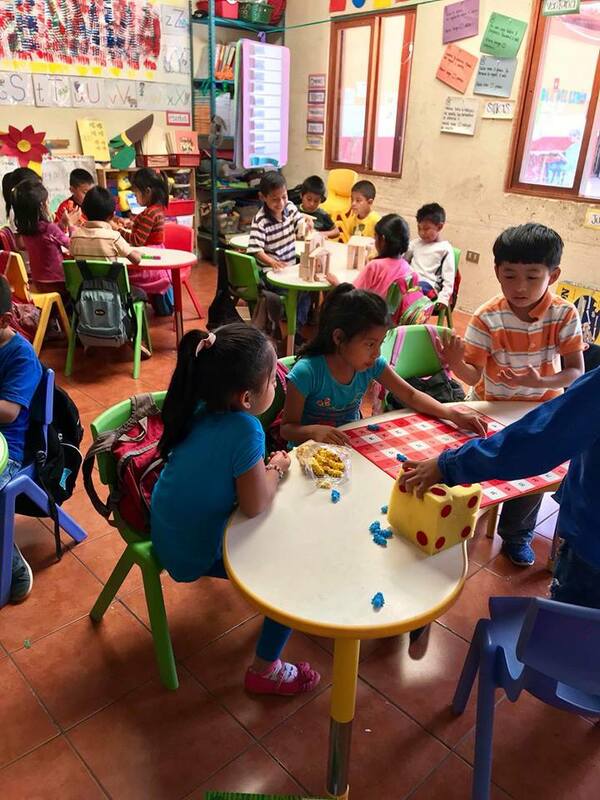 They’re assigned to a school called Escuela de Esperanza or School of Hope that educates over 400 students in grades Kindergarten through nine who can’t afford the cost of public school. In Guatemala, public schools require students to purchase their own uniforms, school supplies, field trips, and other expenses. The School of Hope in Jocotenango, Guatemala, where students volunteer. A good portion of the children come from Vista Hermosa, living in tough conditions on a steep hillside nearby. Some Saint Rose students had never witnessed this level of poverty and experienced a bit of culture shock. While others found it a bit easier to relate. Growing up in Queens, New York, Daria Lee ’19, said she attended private school on a scholarship. She remembered how expensive the school uniforms were, and how her mother would rewash her uniform each week to cut costs. “A lot of kids in Guatemala can’t afford (public) education. It is mandatory to wear school uniforms, and they are so expensive,” she said. After working with children and experiencing poverty head-on, Peters said, students often return from the trip with a goal of becoming less wasteful. They’re enamored by the Guatemalans’ minimalistic lifestyle, which isn’t always a choice. Peters said she has a hard time explaining that to students. “How do you have them have that experience without romanticizing poverty? They get enamored by it,” she said. Long after they’ve returned from their trip to Guatemala, some students feel compelled to continue their service back home. The first year Mahoney went, she decided to sponsor a student at The School of Hope. A sponsorship coordinator for EFTC approached her about the opportunity to help pay for a child’s nutrition or education. Luis was the only child in the classroom she had worked in without a sponsor. Mahoney felt it was a sign. “Because of him and because of the school, I will always have a piece of my heart there,” said Mahoney, who is studying to become a teacher and hopes to apply the lessons she’s learned to her future classroom. Kerrigan Mahoney ’20 with her sponsor student Luis. Lee said after receiving a bachelor’s degree in Communications from Saint Rose, she wants to study for a master’s degree in either International Peace and Conflict or International Foreign Affairs. She also has dreams of joining the Peace Corps. This trip seemed like a great stepping stone for her … and her mom. 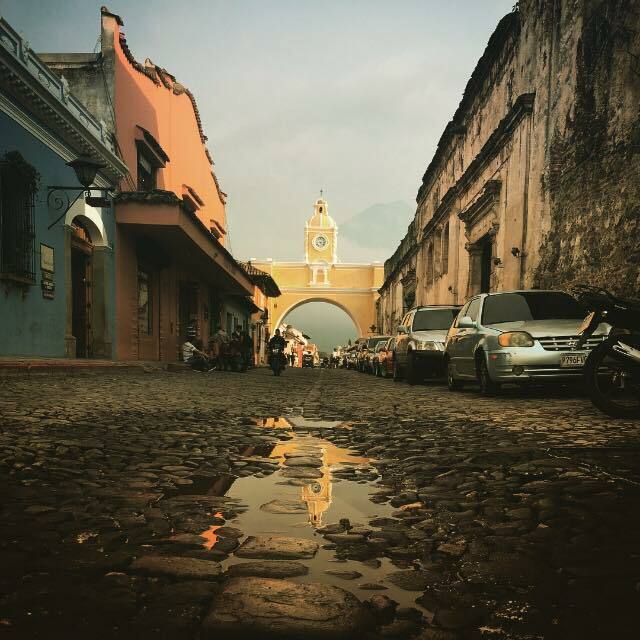 Guatemala joins a line up of Saint Rose service trips that students make throughout the year. Peters said it meets the College’s mission, first by “caring for thy dear neighbor,” and then by providing students an experience to connect and learn overseas. She said the trip also serves as an alternative to the study abroad program at Saint Rose for students who can’t fit it into their academic schedules. 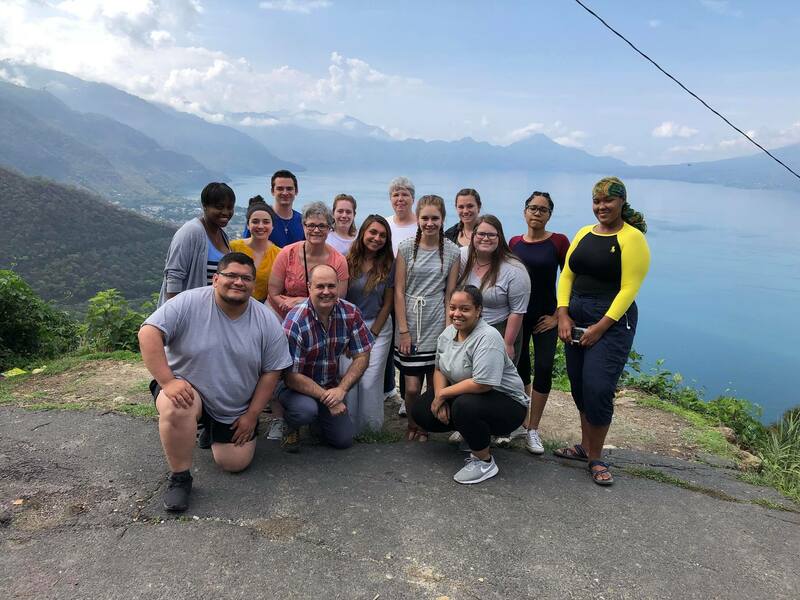 When they’re not volunteering, Saint Rose students have an opportunity to tour ancient Mayan Villages, hike up active volcanoes, swim in Lake Atitlan, and interact with the local villagers. Students also went to an herb co-op, where Guatemalan women make medicinal salves and teas, and a textile co-op, where they learn how to make traditional fabrics. Most of the students enter the trip without knowing their fellow volunteers. After two emotional and physically demanding weeks in a foreign country, they are bonded. “It was amazing to see how everyone opened up. I know that I have a bunch of friends after this trip that I will hang out with,” said Mahoney, whose words were echoed by Lee. Interested in a Saint Rose volunteer opportunity or service trip? Learn more here.